Working with the Robles Video Productions team was an incredible experience. They were punctual, pleasant, hard working, and easy going. It was a pleasurable and professional experience and I couldn't have asked for a better experience. They are also very knowledge, timely and diligent. Working with their team on edits was also a breeze. I couldn't recommend them more! You won't be disappointed! My husband and I had the pleasure of working with Robles. They were very easy to work with and always available to answer any questions we had. 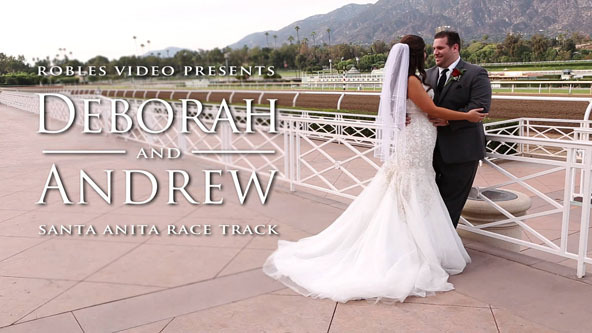 April took her time to make sure every detail of the wedding was shot, and we saw the results in our highlight video that was played during our reception - we absolutely loved it! They made a timeline for the entire wedding weekend and stuck to it, making sure I was stress free during all of it. The videographers at our wedding events were very punctual and professional and did a wonderful job capturing all of our wedding memories! The people we worked with during post production were also amazing. We loooved our highlight video and feature film as did all of our friends and family. Robles Video did a wonderful job and met our expectations! Make sure to book them in advance! One thing I truly appreciated was the Robles Team’s ability to adapt and meet our needs, especially during last-minute changes. 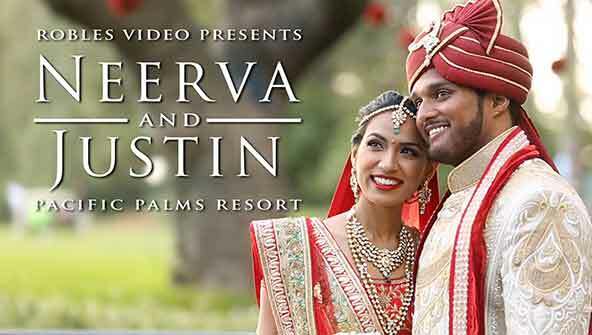 They were incredibly professional throughout the entire Wedding Week, from Neerva’s Mendhi and Grih Shanti, my own Madhuram Veppu, and the back-to-back Hindu and Catholic ceremonies on the Big Day. The caliber of the end product was beyond our expectations. Thank you Robles Video Productions!